In today’s market, many artists are overlooked due to the abundance of talent that major label executives have at their disposal. 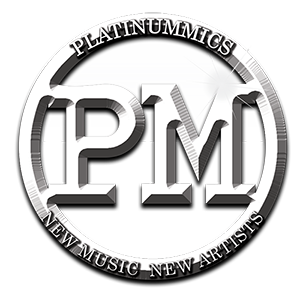 Here, at PlatinumMics we will post new music from new artists and upload video footage for others to enjoy. Our efforts will provide another outlet for indie artists to introduce their music to the world without having to solely rely on airplay from radio stations whose main focus is that of established artists. PlatinumMics will feature up and coming artists with new music in the form of live shows, live streams and interviews. A portion of proceeds from live shows will be donated to kids who are less fortunate and have a desire for the arts. PlatinumMics will support programs that have an emphasis on music lessons, singing lessons and dance. Kids enrolled in these programs will have an opportunity to travel and be introduced to other cultures from around the world. Race, religion, sexuality, and politics separates us but music brings the world together! Through music we will unite the world one song at a time. While visiting the site listeners and viewers will have an opportunity to rate songs and videos posted here on PlatinumMics. The artists/bands obtaining the highest ratings will be posted on the home page in our weekly top ten and will also be presented with opportunities to perform around the globe in live shows brought to you by PlatinumMics. So, feel free to explore…we hope you enjoy. THE NAME PLATINUMMICS WAS CHOSEN IN HOPES OF INSPIRING OTHERS TO BECOME PLATINUM SELLING RECORDING ARTISTS! GOD GIVEN TALENT IS A TERRIBLE THING TO WASTE!